Affectionately known by many as "Tai from Thailand", TaiScott Ponder was born in Bangkok, Thailand and is the owner of Agape Touch by Tai. Scott was drawn to preventative medicine, health sciences, and wellness at an early age. His fascination with human anatomy and physiology eventually led him to being accepted into prestigious biomedical research programs. During two life changing summer internships, Scott had the opportunity to study the affects of cholesterol on atherosclerosis alongside highly accomplished professors at both Morehouse School of Medicine and Notre Dame University. Scott furthered his studies by earning a Bachelor of Science in Biology at Xavier University of Louisiana and completed a physical therapy internship at Premiere Physical Therapy in New Orleans during his Senior year. Shortly after graduation, Scott completed a medical assistant program and externship at Cardiac Disease Specialists in Atlanta. Scott's passion for holistic medicine led him to enroll at the Atlanta School of Massage where he earned certifications in Swedish/Deep Tissue Massage, Reflexology, NeuroMuscular Therapy, Spa Therapies, and Seated Massage. Scott is also CPR and AED certified and has received additional training in Shiatsu/Thai Massage, Sports Massage, Pregnancy massage, Hot/Cold Stone therapy, Oncology massage, Fibromyalgia, and HIV/AIDS awareness. 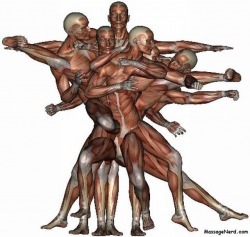 Scott understands the impact stress from everyday life has on the body and uses massage to facilitate the body's natural ability to physically and emotionally balance itself. Scott was diagnosed with a chronic illness at age 12, so he understands the importance of stress management from both the patient and caregiver's perspectives. After Scott’s father lost his battle with cancer, Scott began working with physicians to utilize massage as a complementary therapy for clients managing chronic illnesses such as cancer, sickle cell, HIV/AIDS, fibromyalgia, and Parkinson's disease. Scott has also been instrumental in reintroducing healthy touch to victims of domestic violence. His father instilled in him at an early age that despite any medical diagnosis, we have the ability to decide our own prognosis and therefore conquer any disease or negative circumstances life presents. Scott’s lifelong passion for helping others has matured from visiting the sick and shut in and helping them handle household errands at age 12 into a purpose driven life of helping clients improve their quality of life so it can be enjoyed to the fullest with loved ones. Through Agape Touch By Tai, Scott strives to create an unconditionally loving environment where everyone feels welcome, nurtured, and supported throughout the restorative and healing process. 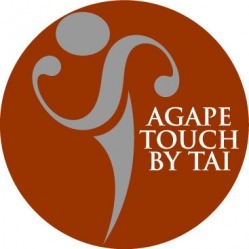 Agape Touch by Tai is committed to servicing the community, healthcare facilities, battered women’s shelters, caregivers, educators, and any individuals seeking massage to support a healthy lifestyle. Agape Touch encourages referrals from those who provide care for individuals that would benefit from receiving healthy touch and offers sliding scale fees and income based scholarships to individuals experiencing financial hardships. Thanks to the consistent support of clients that are capable of paying standard market rates, Scott is able to offset massage service fees for clients who can only pay very little or not at all which has always been the vision for his company. During the period 2009-2012, Scott was able to donate as much as 60% of his time and resources to clients living with chronic illnesses and charities raising funds for pancreatic, prostate, and breast cancers, Muscular dystrophy and HIV/AIDS research. Each May, Scott consistently donates a portion of his services to teacher’s appreciation at local schools and actively assisting with educational scholarship fundraisers for deserving students. Scott was raised in a loving environment that nurtured his passion for caring about and serving others and through his business he has the opportunity to pay forward the gifts that were unconditionally shared with him.